There's a standing joke in our family that I'm always away for my niece Erin's birthday - it's not intentional, it just seems to happen! I was very relieved and pleased that this year, by the narrowest of margins, I shall be here to celebrate her 21st! 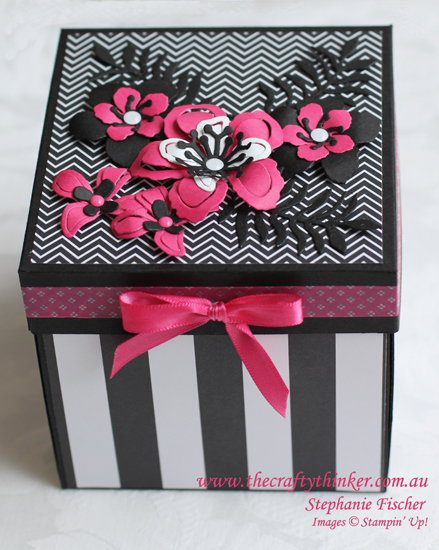 I've used Pop of Pink Designer Series Paper and Washi Tape to create an exploding box card for her. The box is also decorated with flowers created with the Botanical Builder Framelits that have Enamel Shape centres. 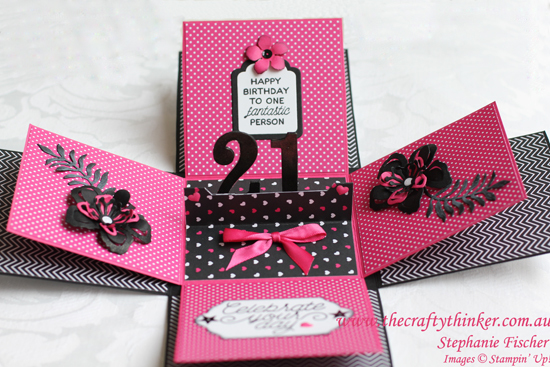 There is a little slot in the base of the card that will hold some birthday money. The numbers were cut with the Large Numbers Framelits and stand up by themselves with the help of some strips of Window Sheet. Like the black petals, the numbers have a touch of gold Wink of Stella on them. 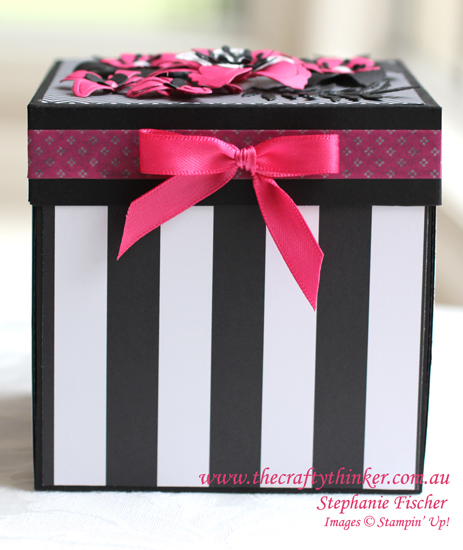 I sponged a little Whisper White Craft ink onto the black leaves on the inside of the box.